Turn an old, tired bookcase into a focal point of your room by adding wallpaper to the back. This design trend adds a modern, high-end look to an otherwise boring bookcase. This entry was posted in Wallpaper Decorating Ideas on February 17, 2016 by papercraft. According to HGTV, Wallpaper is back in a big way in 2016. 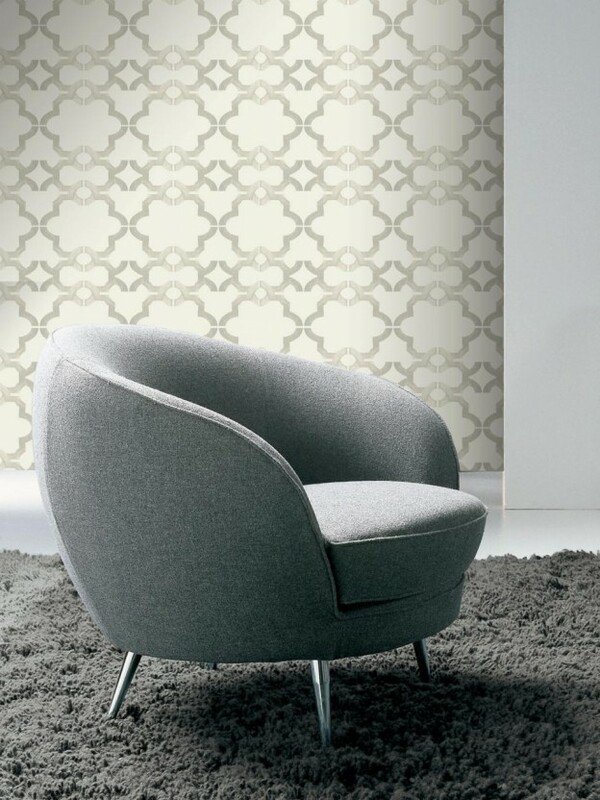 Wallpaper is transforming rooms with bold patterns and colors. Fresh colors paired with a very traditional pattern means up-to-date, contemporary wallpaper. This entry was posted in Wallpaper Designs and Trends on February 17, 2016 by papercraft. There are two career choices Steven Kaye never regrets. One: going to a school to learn the paperhanging trade, and two: joining a professional guild geared for his career. The National Guild of Professional Paperhangers, of which he heads the Midwest chapter, has afforded him many opportunities, not only to network, but to show off his skills. 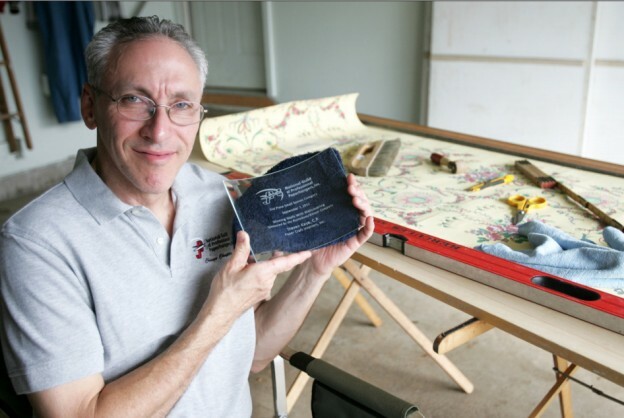 Recently, Kaye, of Algonquin, was awarded second place from the organization’s small spaces category. He wallpapered a Chicago woman’s shoe closet, in a high-end design that earned him the attention of the guild judges. He accepted the award at an annual Convention and Vendor Showcase this September in Columbus, Ohio. This entry was posted in Awards and Recognition on December 17, 2012 by papercraft. © 2019. Paper Craft Interiors, Inc. All rights reserved.